Our regular NY Masters champion, Leonid Yudasin was absent again this week as he’s busy playing a closed event in California, however he was effectively replaced by super strong Estonian GM, Jan Ehlvest. Last week’s champion, Jay Bonin, was present as usual. Bonin is coming off the NY Masters of his life, with a perfect 4/4 score, and everyone wondered…..would he be able to continue the magic this week? 4 Panchanathan - Norowitz LIVE GAME!!! The youth was served well in the first round of this week’s NY Masters. Both Igor Schneider and Laura Ross achieved draws against their higher rated opponents. After just round 1 it was clear that last week’s champ Jay Bonin would not achieve last week’s 4-0 score again, however he was fortunate to escape Laura’s grasp, as Laura had a two pawn advantage. Igor put on an impressive display in the first round last week, as he knocked off IM Irina Krush. He was looking for a repeat performance as he had a strong initiative against me for a pawn, however with a few inaccuracies from Igor, I was able to go into a pawn up, and easily winning endgame. My endgame tecnique was far from perfect and we eventually drew. All of the other favorites won their first round games, and now let’s see what would happen in our featured game. This game featured the reigning Asian Junior Champion, IM Magesh Panchanathan. Panchanathan has just moved to the USA to become a student at University of Texas Dallas. He faces off against blitz specialist, Yaacov Norowitz, who has achieved ICC blitz ratings as high as 3100! 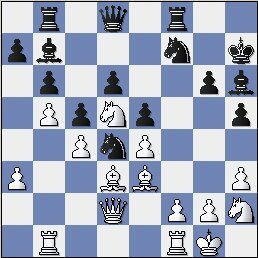 1.e4 c6 2.d4 d5 3.exd5 cxd5 4.c4 Nf6 5.Nc3 e6 6.Nf3 Be7 7.cxd5 Nxd5 8.Bd3 0-0 9.0-0 Nf6 10.Re1 b6 11.Bc2 Nc6 12.a3 Ba6! A good idea in this position. 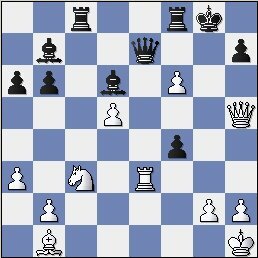 White’s idea is to play Qd3 and use mating threats to disrupt black’s kingside (for example by forcing black to play ..g6). This move nips of all white’s hopes in the bud. 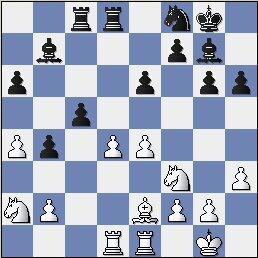 If white should try a move such as 13. b4, I believe black has the option of …Bc4 or even ignore the b5 fork threat with an immediate….Rc8. (Idea if b5 Na5!? It looks like Panchanathan is going for the kill. 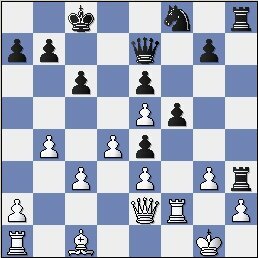 Norowitz must stop the knight from coming to f5, thus has only one real move…. Whoa!!! 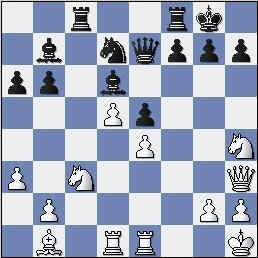 This is Panchanathan’s first ever NY Masters and we were unfamiliar with his style, however this move answers any questions we may have had. Panchanathan is willing to burn his bridges in an attempt to checkmate Norowitz’s king. There is no turning back…..
Amazing! Panchanathan sacrifices all his material to attack Norwitz’s king, and now all the sudden he is defeated because of his own king’s back rank weakness. Cool and calm defense from Norowitz under some serious pressure. 2 Norowitz – Stripunsky LIVE GAME!! Ehlvest and Gonzales moved off to a quick 2/2 score with victories over Boris Privman and Ron Young. Now the question was…who would join them at the top. 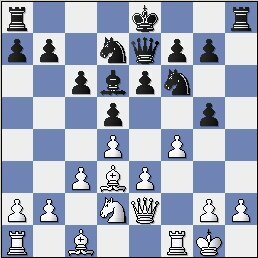 Would it be GM Alex Stripunsky or 21 year old 2210 player Yaacov Norowitz? Looks like we’ve got another action packed game ahead of us! Stripunsky BLASTS open the position of whites kingside. 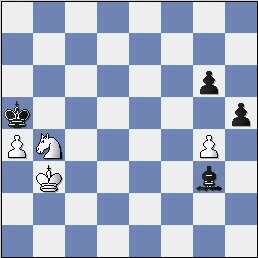 The f-pawn is pinned as if moved it would allow black to take on h2. 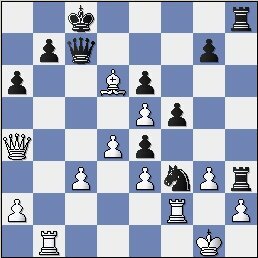 13.Nf3 g4 14.Ne5 0-0-0 15.g3 Ne4 16.Bxe4 dxe4 17.Qxg4 f5 18.Qe2 Bxe5 19.fxe5 Rh3 20.b4 Rdh8 21.Rf2 Nf8! A fine idea by Stripunsky. He wants to attack white’s kingside, but how to do so with the knight completely out of play. 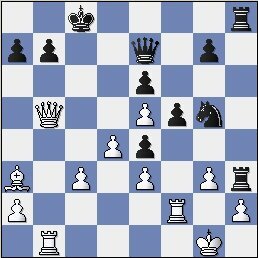 He comes up with this attempt to reroute the knight via h7-g5-f3! Norowitz doesn’t stand by and watch his king get brutally attacked. Instead he goes on the offensive! Both sides are attacking ferociously….who will be first?? 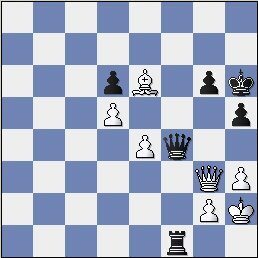 Given the time situation (16 seconds remaining for Norowitz with a 5 second increment), this brilliant queen sacrafice to force a draw is quite impressive. 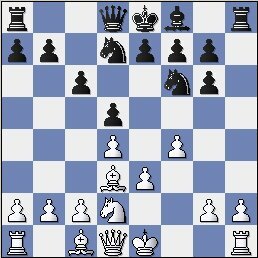 However if Norowitz had more time he might have found the winning blow Rb5!, with the idea bringing another piece into the attack via c5. After this move Stripunsky would have had no defense. After the text a draw is forced and is soon agreed upon. A hard fought and action packed game from these two guys. Norowitz is showing that his 2210 rating might be quite a bit low compared to his actual playing strength. 1 Gonzales – Ehlvest LIVE GAME!! Laura Ross was having a great event after two rounds (with a win against Igor Schneider in round 2), but was ground down by GM Stripunsky in round 3. 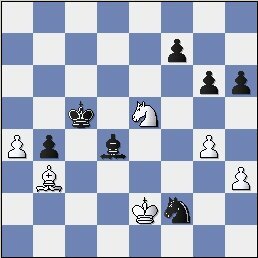 In a Closed Sicilian, Stripunsky always had the spatial edge and it became too much for Laura to handle. Meanwhile Yaacov Norowitz continued his impressive performance with a victory over yours truly. 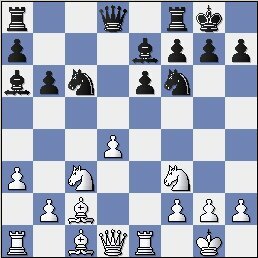 Yaacov found a tactic which I completely overlooked yet was very lucky to have a counter tactic against. I was delighted after the game that Yaacov has such faith in my playing abilities that he didn’t believe that I didn’t see his tactic or my counter tactic until the position actually occurred on the board! Yaacov still had a slight edge and when I should have played solidly I played wildly, and Yaacov took complete advantage of my friskiness, picking off a pawn and winning a pawn up, king and pawn endgame. On display in round 3 were the two undefeateds remaining in the event, GM Jan Ehlvest and IM Jayson Gonzales. 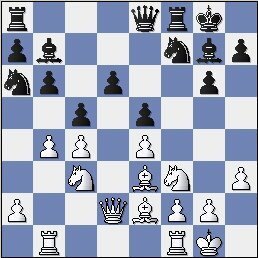 With extremely active pieces and a monstrous knight on e5, Gonzales looks to be in deep trouble. Ehlvest has no problems converting this advantage. 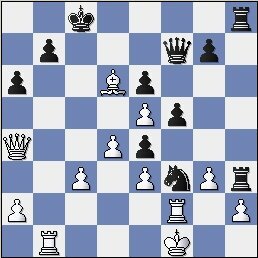 Note that white cannot try 41.Qxd4 due to 41…Rxd3 42.Rxd3 Qf1+ , picking up the rook on d3 plus change. A well played and dynamic game by GM Ehlvest, who takes possession of sole first place with 3/3. Stripunsky and Norowitz are close on his heels with 2.5/3. 1 Ehlvest – Stripunsky LIVE GAME!! Yaacov Norowitz took care of his end of the bargain, with a win over FM Boris Privman in the final round. This meant that unless Ehlvest won his final round game, we would see by FAR the lowest rated player to ever come in first place in the NY Masters. Our final round matchup would be a real treat, as we see two GM’s going head to head for the first place prize. Ehlvest has an extra half point and thus only needs to draw with the white pieces, but Stripunsky doesn’t seem perturbed, as he’s prepared to go all out for the victory. Ok ok…maybe this isn’t really going all out. Stripunsky is the type of player who doesn’t completely change his opening repertoire just because he needs a win. He’s going to play what he knows and hope that somewhere down the line a chance will arise. Unfortunately against someone of Ehlvest’s strength, such chances are not too likely to come up. Wow! Ehlvest has managed to trade the queens, and thus one would think its more likely he could achieve a draw, however Stripunsky has the two bishops and is opening up the game in vicious fashion. So here we have it…..Stripunsky has an extra pawn in an endgame. A win for Stripunsky would mean $275, as he would split first place with Norowitz. Meanwhile if Ehlvest draws he gets the $275 along with Norowitz. I’m going to discount the possibility of Ehlvest winning and getting $400, as this doesn’t seem possible in such a position…. Ehlvest is doing a fantastic job of defending this endgame. What you want to do in such endgames, when down a pawn, is to trade as many pawns as possible. It seems as if every one of Ehlvest’s moves is creating the threat of massive pawn exchanges. 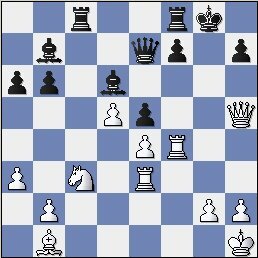 45...Nxh3 46.Nd3+ Kb6 47.Bxf7 Ka5 48.Bb3 Ng5 49.Nf4 Ne4 50.Kd3 Nc5+ 51.Kc4 Bf2 52.Nd3! 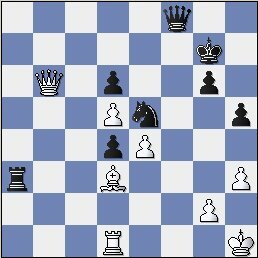 Trading down into a knight versus bishop endgame, where white immediately wins black’s b-pawn. After this the draw is within reach. 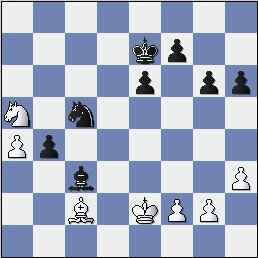 Stripunsky is making a last ditch attempt to win this game based on the speed of his passed h-pawn, but the knight is too quick to return to the kingside. 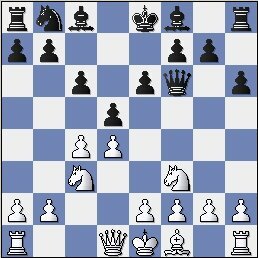 55.gxh5 gxh5 56.Nc6+ Kb6 57.Nd4 Kc5 58.Kc3!? 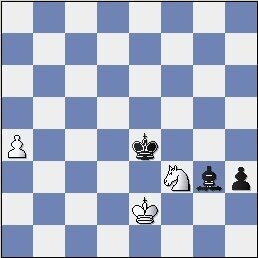 Black can pin the knight with 58….Be5, but then we reach an endgame where black has the wrong color rook pawn, thus the game would end in a draw. 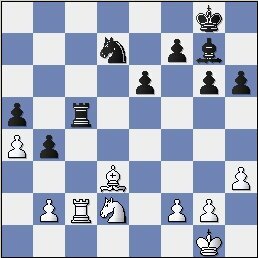 Ehlvest had his mind set on getting the king to the corner and let’s nothing stand in his way, not even the possibility to win the h-pawn for free with Ng5+. A fine defense by Ehlvest who keeps his share of first place, along with surprise co-champion, Yaacov Norowitz. Tied for third place this week at ¾ were GM Alex Stripunsky and IM Magesh Panchanathan, who managed to string together 3 straight victories after his first round defeat.